Paul Cronin’s understanding and advocacy of the American Forward Riding System is unsurpassed. Paul, who lives in Rectortown, Virginia, was the Director of the Riding Program and head instructor at Sweet Briar College for 34 years. He currently serves as Professor Emeritus for the college, a position he’s held since 2001. 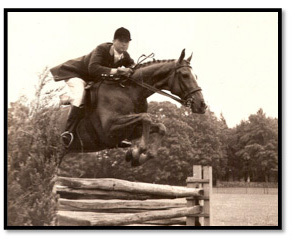 His riding career focused on the hunter division. He competed successfully in the Boston area as a junior, rode horses for General Richard Mellon’s Rolling Rock Farm, Pennsylvania, as an amateur, and showed and trained young horses in Virginia. For more than 30 years, Paul was a student of international horseman and educator Vladimir S. Littauer, and took a semester’s sabbatical to ride at the French National Military School in Saumur. In addition to his horsemanship, Paul has done graduate work in sports psychology and motor learning at the University of Virginia. During his 25 years as a hunter and hunter seat equitation judge, he served on the original AHSA committee that planned and established clinics for hunter and hunt seat equitation judges. Today, he enjoys a successful career as a clinician and a consultant in Equestrian Education Programs and Management. He has received many accolades along the way, including being named Educator of the Year by the Virginia Horse Council, a USHJA Professional Service Award 2007, and a USEF Pegasus Award 2009. His book, Riding and Schooling the Sport Horse, was published in 2004, reprinted in 2005. Currently he is a member of the USHJA’s Trainer Certification Program Committee.